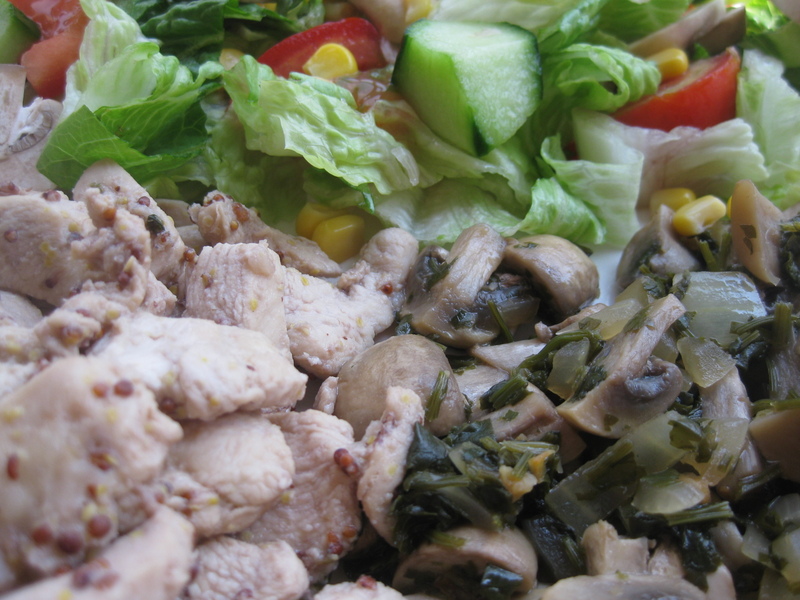 I had for lunch mushrooms a la provencale “my style” made of cooked fresh mushrooms with onions, coriander and garlic with 120g of chicken breast cooked with moutarde a l’ancienne, soy sauce, white pepper and honey and salad made of lettuce, tomatoes, cucumbers and two tablespoon of corn! There’s a common misconception about mushrooms being low calorie foods with little nutritional benefits when in fact recent studies have shown that mushrooms may bolster the immune function to suppress breast and prostate cancer and decrease the tumor size! 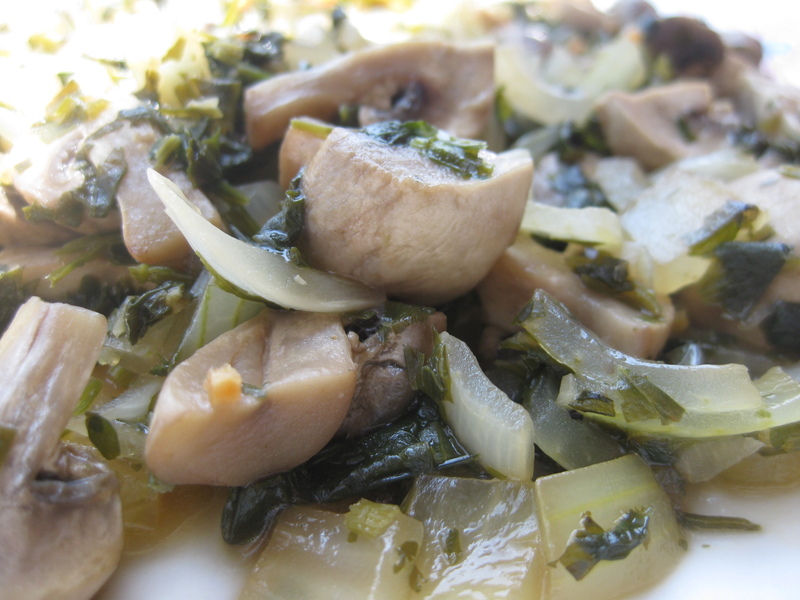 Also, recent studies have found that mushrooms contain an antioxidant called L-ergothioneine that might also have great benefits on our overall health! Enjoy mushrooms in all its forms! 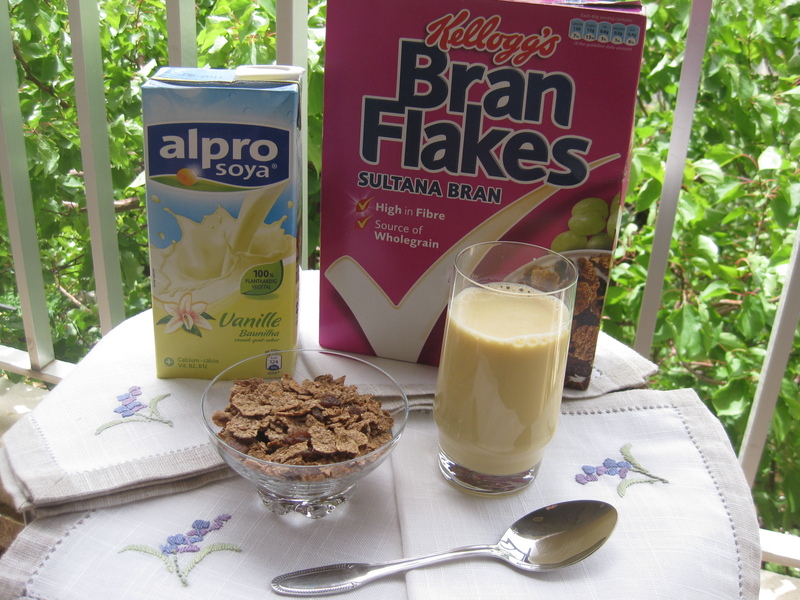 And remember that one cup of fresh mushrooms has around 18 calories since they have a 90% water content! 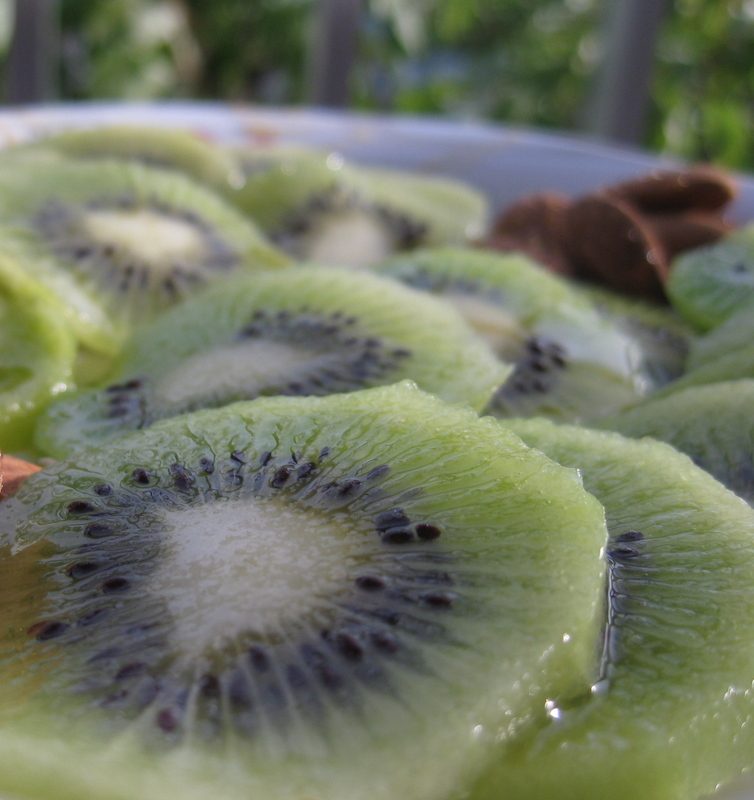 As an afternoon snack i had two kiwi fruits that are rich in vitamins, flavanoids, minerals, fiber and contain a very high amount of vitamin C! 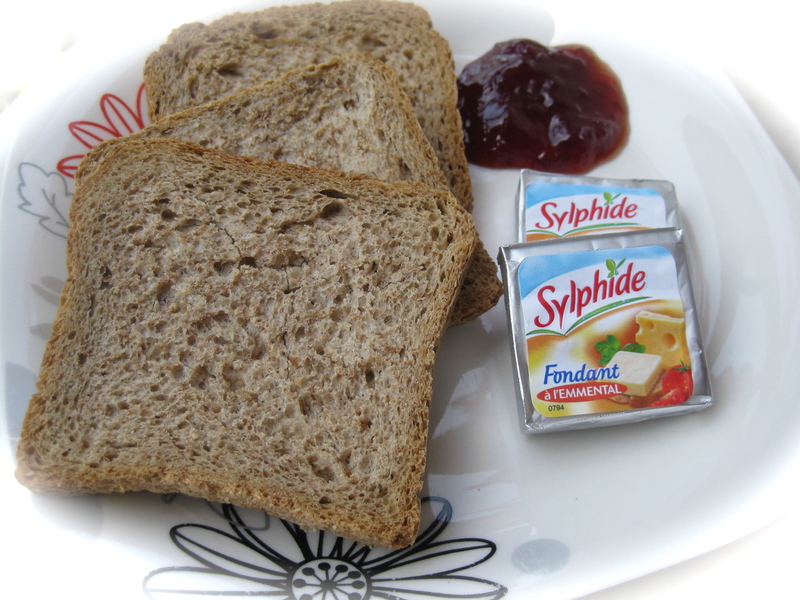 I had for dinner 3 brown toast with two portions of Sylphide cheese and a teaspoon of strawberry jam !